Home CDN , children , crafts , feature , February , holiday , holidays , homeschool , papercrafts , printables , US , worldwide February 3rd - Featuring Elmo Freebies! February 3rd - Featuring Elmo Freebies! -- Everybody knows Elmo, the fire-engine red dynamo with the positive attitude and infectious giggle. The outgoing, curious little monster is a perennial optimist who is full of wonder as he discovers the world. With his childlike innocence, Elmo can turn almost anything into a game and invite his friends to join him in the imaginative fun. -- Elmo celebrates his birthday with his Sesame Street friends by playing games, eating cupcakes, and opening presents. Girls and boys ages 3 to 7 will love this paperback storybook, including over 50 stickers, a Pin-the-Nose-on-Elmo game, and a press-out birthday crown! • Sesame Street Plush Elmo -- Your favorite character from Sesame Street is here to cuddle, love and play with! 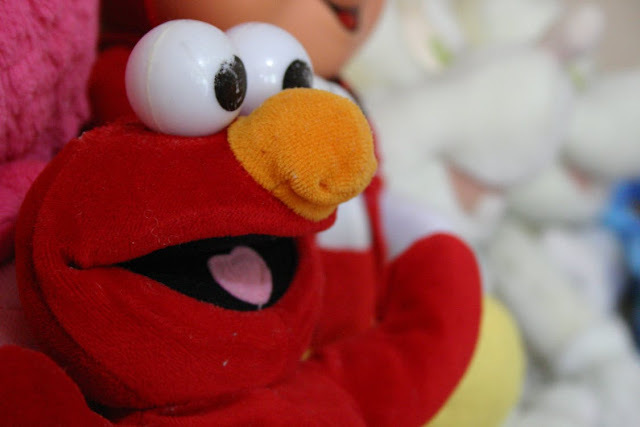 The Sesame Street Elmo is so soft, every child will love feeling his texture. Elmo is tremendous for children, and with Gund, it will be impossible to forget how magical this plush character is! • Happy Birthday! (Sesame Street Scribbles) -- Today’s your birthday, shout HOORAY! It is your special day today. We love the things which make you, YOU! Let's celebrate the whole day through. The book is super cute and reads like a very sweet, extended birthday card. - This day refers to a plane crash occurring just after 1:00 a.m. local time on February 3, 1959, near Clear Lake, Iowa, United States. The crash killed three American rock and roll musicians: Buddy Holly, Ritchie Valens, and J. P. The Big Bopper Richardson, as well as the pilot, Roger Peterson. The term was popularized by Don McLean in his 1971 song American Pie. - Commemorates four chaplains (George Fox, Alexander Goode, Clark Poling, John Washington) who sacrificed their life belts and lives on February 3, 1943, when the SS Dorchester was torpedoed off Greenland during WWII.